The Principality of Monaco has long been a venue of great sporting, artistic and cultural events at an international level. Of worldwide fame are the Formula 1 Grand Prix, the Tennis Open, the Monaco Classic Week of sailing, the Boxing Championship, the Herculis of Athletics, the Soccer Championships with AS Monaco, the Monte Carlo Rally, the Monaco Jumping, the Golf Tournament and swimming's Mare Nostrum. Monaco is also the headquarters of the IAAF – International Athletics Federation, the UIM – International Powerboat Union, the ATP and WTA – Professional Tennis Association (Europe), and the International Union of Modern Pentathlon and Biathlon. Furthermore Monaco's Princely family supports sporting activities with special interest. HSH Prince Albert II of Monaco has always had a passion for sports and has participated at the Olympics 5 times with the Bobsleigh. HSH Princess Charlene has been an international and Olympic swimming champion. Princess Stephanie’s son, Louis Ducruet, is developing a career in the sport management, his sister, Pauline Ducruet, has participated in competitive diving. Charlotte Casiraghi, Princess Caroline's daughter, takes part in international show jumping competitions and her younger sister Alexandra of Hanover competes in artistic skating events. All of this has led to the Principality being an important crossroads of the sporting world. 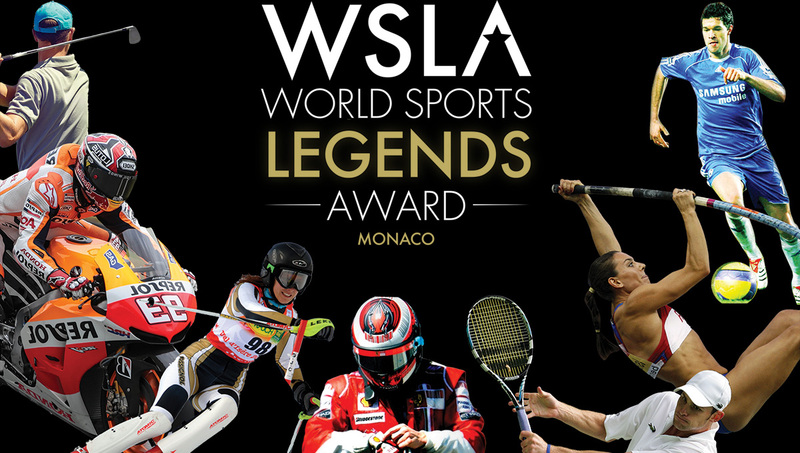 The prestigious prize, the “World Sports Legends Award" is presented to sporting champions both active and retired, who have distinguished themselves not only in their sporting exploits but also for their example as inspiring role models for the new generations. The aim is to promote sport’s ethical and moral values as an ideal to motivate people, especially the young, to excel. The Awarded gain entry to the Pantheon of World Sports Legends by leaving their hand prints. The special prize “Best Sports Values” is awarded to an athlete who stands out for an exemplary sporting gesture which embodies sport’s ethical and moral values, or to well-known people for their community support through sport. The “Posthumous Award” is conferred on great champions with legendary careers or to well-known people who operated in the sporting sector. The "Media Special Prize" will be given to the media that better recounted an exemplary sporting gesture. The Oscar for the World Sports Legends Award has been created by the international artist, Marcos Marin, which created a sculpture which brings together all the symbolism and values of WSLA. He is also in charge of the Handprints Show. The Candidates to the Awards are selected by a Committee composed by the WSLA Board and the WSLA Awarded. “WSLA Posthumous Award”: Antony Noghès, Monaco, for having created the Monaco Grand Prix in 1929, the Rallye Monte-Carlo in 1911, the checkered flag used to end races in 1931. The Prize has been received by Yann-Antony Noghès and Lionel Noghès. A particular feature for the event created and produced by PromoArt Monte-Carlo Production is that of linking sport with entertainment, art, fashion and glamour, making the World Sports Legends Award Monaco a unique international showcase: the Oscars of Sport. The event is presented in 5 languages by the international ballet star Lorena Baricalla, Ambassadress and Master of Ceremonies for the Monaco World Sports Legends Award. As Monte Carlo has always been a venue for the most prestigious red carpets, stars from American cinema, great world sporting champions and VIPs are in special attendance.